Tweezerman Beauty Tools | PC Fallon Co. 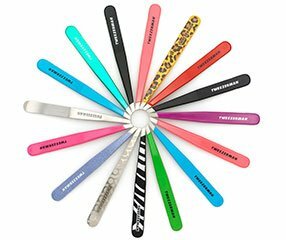 Known around the world as the must-have brand for over 30 years, Tweezerman beauty tools are trusted by everyone from celebrities, models and make-up artists to top beauty gurus, magazine editors and women from all walks of life. Tweezerman tools are designed to be true beauty solutions and each tool is developed to be uniquely best at what it's created to do. No matter what the beauty trend, Tweezerman tools will help you look and feel your very best. Tweezerman is incomparable in quality, performance and value.